As you know we started the Darknet Commenter of the Month Competition on June 1st 2007 and it’s been running since then! We have just finished the thirteenth month of the competition in June and are now in the fourteenth, starting a few days ago on July 1st – Sponsored by GFI. We’ve successfully been holding this contest for a year now! 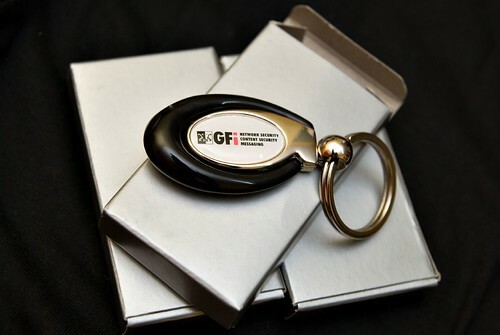 We are offering some pretty cool prizes like iPods and PSPs (or similar), along with cool GFI merchandise like shirts, keyrings and mugs. Just to remind you of the added perks, by being one of the top 5 commenter’s you also have your name and chosen link displayed on the sidebar of every page of Darknet, with a high PR5 (close to 6) on most pages (5000+ spidered by Google). So announcing the winner for June…it’s Navin! Comments for June picked up towards the middle of the month with a relative (but very active newcomer taking the throne with more than double the second place, which was May’s winner Bogwitch). There were some great discussions in June and I hope to see them continue in July! I’d like to thank you all for your participation! I hope it keeps getting better as 2008 develops with more interesting news and tools. Keep up the excellent discussions, it’s very interesting reading especially on some of the more controversial topics. Keep commenting guys, and stand to win a prize for the month of July! We are still waiting for pictures from backbone, Sandeep and TRDQ, dirty and dre, eM3rC, fever, Sir Henry and goodpeople of themselves with their prizes! Winner for December 2007 was Sir Henry with 84 comments. Winner for January 2008 was goodpeople with 66 comments. Winner for February 2008 was eM3rC with 122 comments. Winner for March 2008 was Pantagruel with 66 comments. Winner for April 2008 was fever with 44 comments. Winner for May 2008 was Bogwitch with 37 comments. 4 Responses to June 2008 Commenter of the Month Competition Winner!